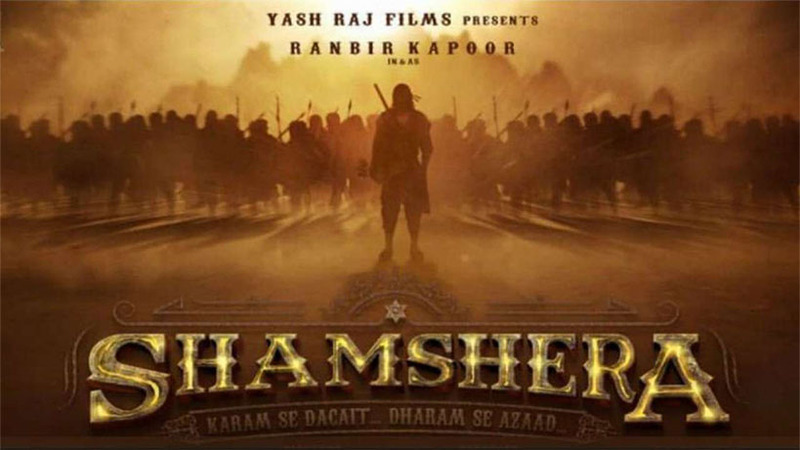 Ranbir Kapoor has amazed everyone with his never seen before avtar in 'Shamshera'. Mumbai: After Sanju, Ranbir has completey changed into dacoit for Karan Malhotra directed 'Shamshera'. Yash Raj Films took his social account and revealed the teaser of the movie. Also Read: 'Sanju' teaser will definitely blow your mind! The teaser depicts Ranbir wearing bandana on his head and an anklet on his feet. He stands in a dusty ground with an army behind him. The voice-over immensely effective. Ranbir will join hands with production house after a gap of nine years. Earlier, they have worked together for "Rocket Singh: Salesman of the Year" in 2009. On his work front, the 35-year-old actor is busy with 'Sanju' promotions, and shooting for Brahmastra opposite Alia Bhatt.